By Benjamin Mangrum. Oxford University Press. 2018. American liberalism after the Second World War turned against the legacies of the New Deal era. Rather than extending the reforms of the 1930s, many expressions of postwar liberal thought recast organizational politics as enfeebling, alienating, or tyrannical. 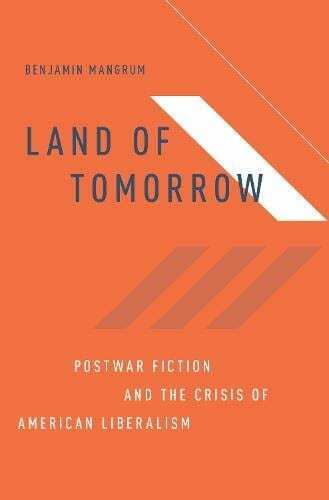 Land of Tomorrow examines the ideas and cultural sensibilities that caused this radical shift in the tenor of American liberalism. To account for these changes in American liberal sentiment, Benjamin Mangrum looks to some of the most influential writers, critics, and intellectuals of the postwar decades-including Ralph Ellison, Vladimir Nabokov, Lionel Trilling, Flannery O’Connor, and Saul Bellow, as well as the American reception of Friedrich Nietzsche, Sigmund Freud, Franz Kafka, and many other European thinkers. By revising established accounts of this body of cultural work, Mangrum charts the legitimization of new political sensibilities within the nation’s intellectual life. These sensibilities opposed a social democratic order and unleashed a new kind of liberalism, one which centered on ideas about authenticity, alienation, self-management, psychological templates for societal problems, and private judgments of value. This confluence of literary, intellectual, and political history gives us a window onto the basic assumptions and key conceptual terrain of liberal thought after 1945. Land of Tomorrow thus offers a provocative cultural prehistory of political thinking’s forms that remain with us today.